I am a full time massage therapist with 16 years of experience in Deep tissue, Acupressure, Reflexology, Sports, Swedish. I worked extensively with the LGBT community and I work with diverse people men and women. I incorporate a variety of techniques from my training, and I use a wide range of pressure tailored to your needs that will melt the stress away. I am very intuitive and clients consistently experience relief from muscular...More discomfort after their first treatment. My table is super comfortable and my work space has a calming atmosphere, all together gives you a sense of well being. I offer body grooming service. Please leave message or text and specify what day, time and how long of session you would like to have, I will be happy to get back to you ASAP. M: 9 a.m. - 11 p.m. 8 a.m. - 10 p.m.
Tu: 9 a.m. - 11 p.m. 8 a.m. - 10 p.m.
W: 9 a.m. - 11 p.m. 8 a.m. - 10 p.m.
Th: 9 a.m. - 11 p.m. 8 a.m. - 10 p.m.
F: 9 a.m. - 11 p.m. 8 a.m. - 10 p.m.
Sa: 9 a.m. - 11 p.m. 8 a.m. - 10 p.m.
Su: 9 a.m. - 11 p.m. 8 a.m. - 10 p.m.
Vic is one of the finest and most professional masseurs you could meet. I was delighted to meet him recently at his beautifully appointed apartment for a massage session. He met me with a warm smile, water, and a very comfortable room and table. Perfect music as well for the massage. For the next 90 minutes, he completely relaxed me with a superb technique and a variety of touches and pressures. He was very attentive to my needs and asked me how I was doing throughout the massage. He uses his hands and arms so well and has a great firm yet relaxing pressure. 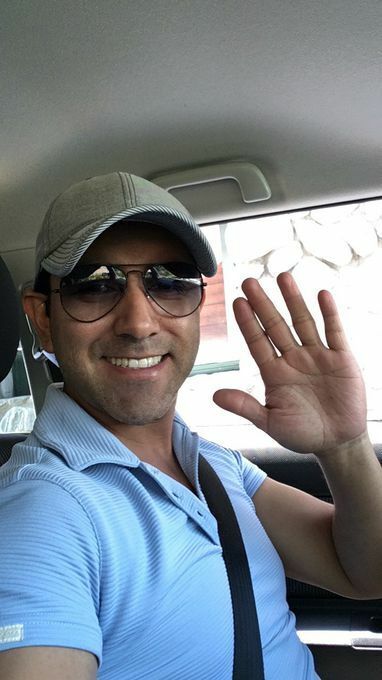 Vic is one of the best decisions you will make when selecting a masseur. I highly recommend him and will definitely be a repeat customer. He is a gem and I am very thankful I found him. Many thanks Vic! This was my first time to have a massage from Vic - and I'm truly hoping it won't be my last! Quite possibly the best massage I've had - EVER! Vic is a total professional and a really great person too! He made me feel relaxed and from the first moments on his very comfortable table, I knew I was in good hands. 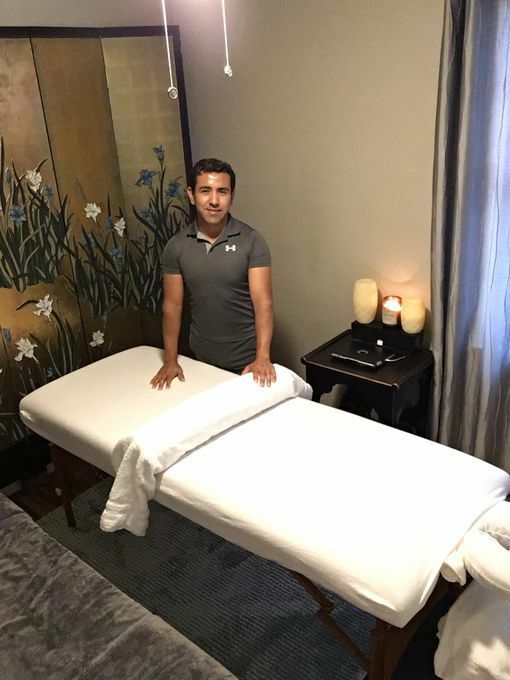 Vic was really able to work with the knots in my shoulders and through steadily increasing pressure during the massage was able to give me much needed relief! Vic was good to check on how I was finding the massage and made adjustments accordingly, although most of the time he intuitively knew the correct pressure etc. All in all a fantastic massage and experience. HIGHLY RECOMMENDED! What better way to start the new year than with a massage by Vic? That’s what I did and it was perfect! I live an hour and a half from Tulsa and Vic was worth the drive. He seemed to know exactly how much pressure to apply without me saying much, and I really like deep tissue massages. He is very kind and has a great calming energy. The music he plays is perfect, he had bottled water available for me, and other little extras that not everyone offers. At 45, I can safely say that Vic offered the best overall massage experience that I have received as of yet. Today was my third appoint with Vic. 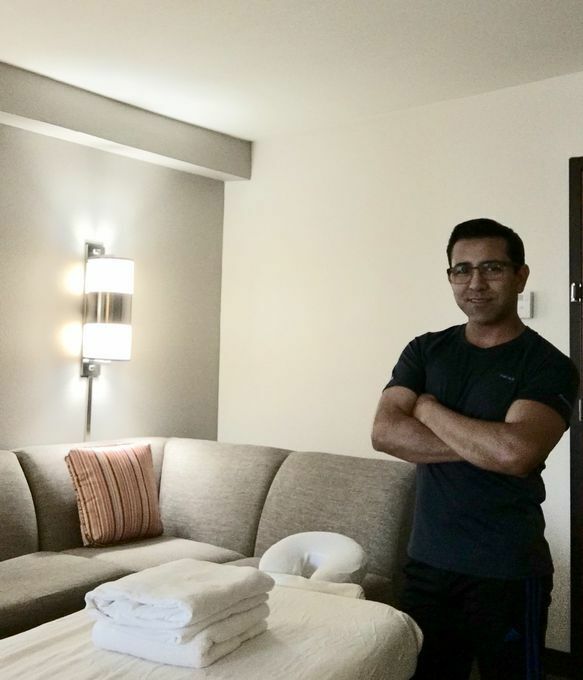 I don't usually write reviews, but felt the need to express how great each massage was. Vic has a way of making me feel relaxed even before the massage begins. He is friendly, kind, and has a soothing nurturing vibe that makes me feel comfortable right away. Every detail about this massage was amazing. I've had several massages over the years, and this exceeded my expectation. I highly recommend this guy. Awesome!! Wow! wow! WOW! Vic is my favorite new massage therapist!! What an incredible find here in our own city! I had read the stellar reviews, and I must add my own. TEN STARS OUT OF FIVE! This TRUE Healer and Therapist GETS IT! He healed me and nurtured me and relaxed me and pampered me better than any five star spa EVER, and he did it in the comfort of my own home!! Go for the two hour because the price is amazing and well worth the extra time!! Vic is SUCH a nice guy - a true poised gentleman sweetheart. So very kind and cordial and friendly. His table is one of the most top notch I have ever been on, spa or independent therapist. He heated it up for me and had hanging hand rests and adjustable neck cradle to dig into my neck. He SEAMLESSLY goes between relaxing and deep tissue effortlessly. He has amazing hands soft and silky AND strong. His music was super relaxing. His lotion perfect. But it is all about the best ride at Disney - Vic's massage! He got through all my painful kinks in my neck and shoulders, then softly glided the rest of me where I drifted off into near-REM dream sleep several times. He's such a pro and a pamperer. He had soft towels to wrap my chest and back cradling me while he worked on my legs and feet. As others have noted, he gives amazing hand and feet work, areas other therapists often skip or glide over. I really felt his focus and attention, and I was nurtured and cared for and healed and (can't stop using this word) pampered. And again in my home!!! Los Angeles, you CANNOT go wrong with sweet and skilled Vic! AMAZING!!! I've been a client of Victor's for many years because of his skills, professionalism and consideration. 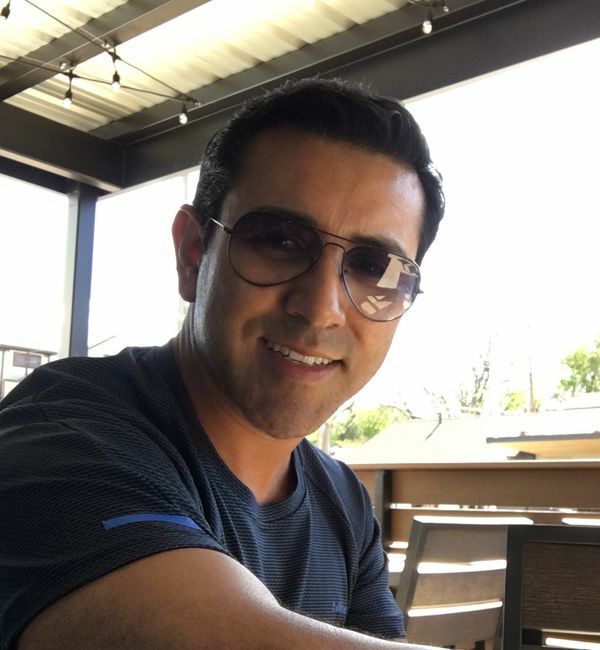 I can completely relax and enjoy all the benefits of a great massage with Victor, as I know I'm in the best hands around! Thank you, Victor! I've been using Victor for massage for over a year now and have to say that he gives the best massages that I've ever experienced. His hands are so strong and he's an expert working out knots and cricks in my back. I also stand on my feet at work all day and he's an expert at working on the foot muscles and heel. He spent an extra 15 minutes just on my feet! All in all he gets me up and running normally again. I try to use him at least once a month if possible. ***** Stars!